This is a continuous recruitment for an applicant pool to fill part-time (up to 67%), substitute, temporary, or hourly assignments on an as needed basis. We accept applications on a continual basis. Departments or Divisions will refer to the pool of applications on file, as needed, to fill temporary assignments. Applicants will remain in the pool for at least 18 months. Master's degree in Spanish OR bachelor's degree in Spanish AND master's degree in another language or linguistics OR the equivalent. If you feel you have equivalent qualifications, please review the supplemental information for equivalent qualifications. See website regarding the equivalency process (use back button to navigate equivalency pages or to return to the posting). This is a continuous recruitment for an applicant pool to fill part-time (up to 67%), substitute, temporary, adjunct faculty assignments on an as needed basis. We accept adjunct applications on a continual basis. The number of adjunct instructors hired varies from semester to semester, depending upon the needs of the department. Your application will be maintained in this adjunct pool for 18 months. 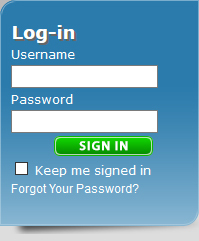 You may check your status at any time by logging into Victor Valley College Online Application Site at http://agency.governmentjobs.com/vvc/ with your username and password. It is the applicant's responsibility to ensure that all requested materials are received. All materials included in the application packet become District property, will not be returned, and will not be copied. If it is unclear whether an applicant meets the minimum qualifications for the position from the application, that applicant will be disqualified. 1. A complete electronic Victor Valley College application. 2. Copies of transcripts showing college degrees and course-work. NOTE: Degrees must be from an accredited institution. It is the responsibility of the candidate to include U.S. evaluations of non-U.S. transcripts with their application.